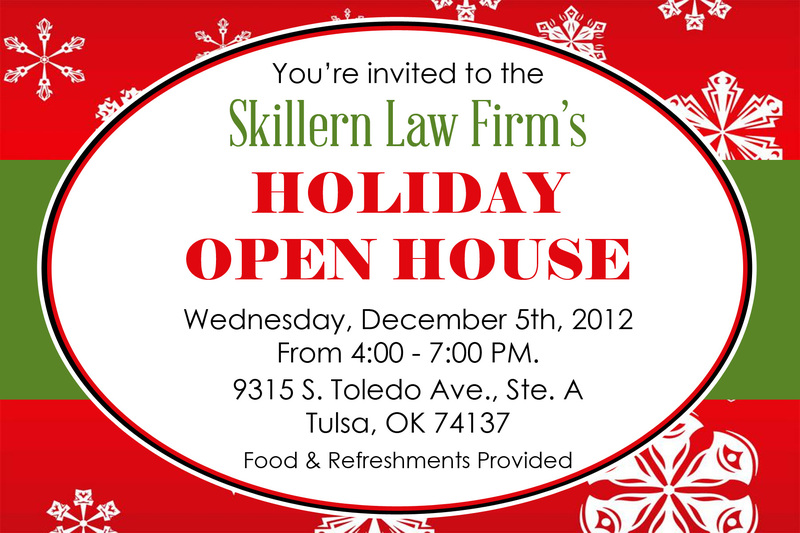 Plan on attending the Skillern Law Firm’s Holiday Open House. NO RSVP required. Food and refreshments provided. If you would like to discuss your estate planning needs, or just come for some good conversation, feel free to attend! By skillernlaw in Uncategorized on November 5, 2012 .